In his autobiography of 1773, Carl Philipp Emanuel Bach, the second son of Johann Sebastian Bach, wrote, “After completing secondary school in Leipzig at the St. Thomas School, I was awarded rights to study at the University level, first in Leipzig and then in Frankfurt on the Oder. While in Frankfurt, I composed works for an academy that I directed whenever public celebrations required music.” In recognition of his contributions to its musical life in the eighteenth century, the city of Frankfurt has dedicated a concert hall to C. P. E. Bach and has established an exhibit documenting his life and works. The concert hall has been fashioned from the thirteenth-century church of the former Franciscan monastery that stood near the river on the northeast corner of the old city. Originally built in a modest form of Brick Gothic, the church emerged from the rubble of the Second World War largely unscathed. Thereafter the historic building fabric steadily deteriorated until extensive stabilization, restoration and reconstruction could begin in 1969. During renovation of the roof, medieval paintings were discovered on the vaulting and restored, and the two gables visible on the building exterior were renewed according to historic preservation guidelines. Finally, in 1975, the west end of the concert hall received an organ built by Wilhelm Sauer Orgelbau. An expanded Bach exhibition attached to the concert hall will open in December 2014 as one of the culminating events of the celebration of the three-hundredth anniversary of the birth of Carl Philipp Emanuel Bach. 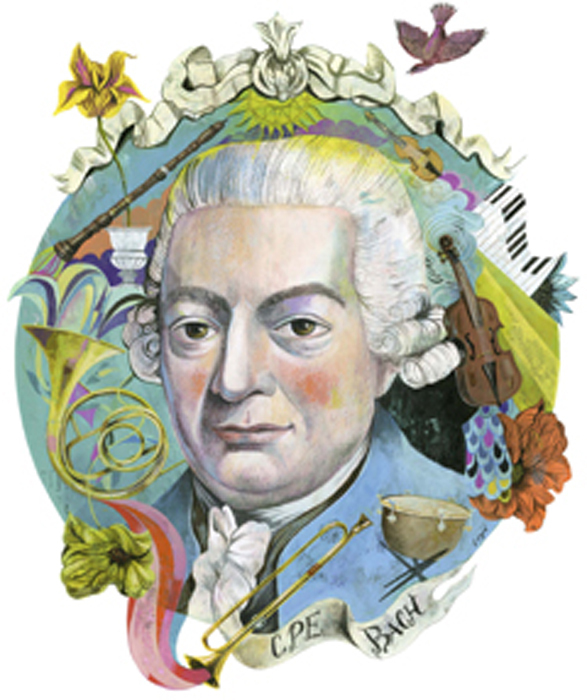 For the three-hundredth anniversary of the birth of Carl Philipp Emanuel Bach on 8 March 2014, the cities of Hamburg, Berlin, Frankfurt an der Oder, Leipzig, Potsdam and Weimar have formed a network in his honor. The highlights of the jubilee program include exhibitions in the state libraries in Berlin and Hamburg and a festival soirée at Schloss Glienicke in Potsdam. City tours in the footsteps of Bach are also planned in Berlin. C. P. E. Bach’s diverse body of work includes instrumental music, including symphonies, chamber music, piano sonatas, pieces for solo instruments, as well as sacred and secular vocal music of all genres. His compositions will serve as the focus of numerous musical events during 2014, including the Music Festival in Frankfurt an der Oder, the Bach Festival in Leipzig and the Music Festival Potsdam Sanssouci. I was in Leipzig, standing in St. Thomas Church, where Johann Sebastian Bach worked as cantor and director of music from 1723 to 1750. During Bach’s tenure, Leipzig started to become famous for something other than great melodies: Gose, a deep orange brew flavored with salt and coriander. 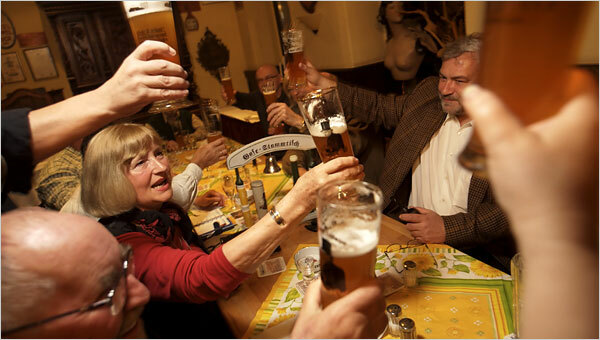 This gave rise to the Gosenschenke, a type of Gose specialty bar that was once found throughout the city. Not long after World War II, however, with Leipzig on the other side of the Iron Curtain, Gose production wavered, then stopped entirely. But then a Gosenschenke called Ohne Bedenken reopened in 1986, serving the city’s first real Gose in almost twenty years, followed by a new Gose brewpub, Bayerischer Bahnhof, which opened in a magnificent former train station just around the turn of the millennium. Another Gose, Ritterguts, is now being made just outside of town. 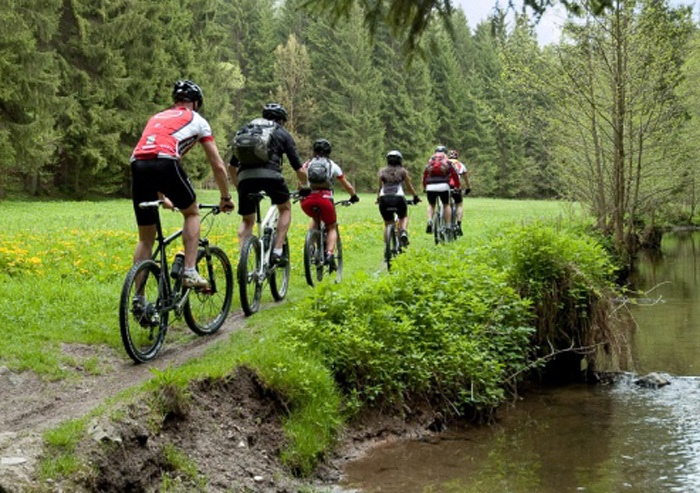 And Gose partisans have even organized a Gose-wanderweg trail for hiking from one Gosenschenke to the next, leading from Leipzig to the town of Halle along the Pleiße, Weiße Elster and Parthe Rivers. In the theater district just steps from the site of the great Leipzig synagogue that was destroyed on Kristallnacht, now the site of a chilling Holocaust memorial, I found Sinfonie, a dark cafe-restaurant with Ritterguts and “things to go with Gose” on the menu. I decided on a half-liter of Gose with a pairing of pan-fried zander and salmon accompanied by lemon sauce and a warm cucumber salad. The Gose was amazing, with a mild taste of salt immediately noticeable in its thick, mousse-like head. Its body was light and slightly spicy followed by a remarkably bright finish – more crisp than the most crisp Riesling, sharper than the sharpest Chablis, and a better match for tricky citrus and vinaigrette than any wine I’d ever encountered. The next day, at Ohne Bedenken, I tried both Ritterguts and Bayerischer Bahnhof beers with roast pork and sauerkraut, another notorious trap for wine. Both complemented the meal marvelously. In comparison, the Bahnhof had a bit more malt in the body, was lighter in color and was substantially less aggressive. The darker Ritterguts tasted much more sour, saltier and had more spicy coriander notes. If I had to pick one, the Ritterguts would probably be the winner, simply for its brawn. But compared to Radeberger, the dishwater Pilsener from the region, both versions had character to spare. Like difficult but dear old friends, these were challenging beers, but rewarding ones. When one properly consumes a Johann Sebastian Bach Jubiläumsbier from a glass that features a golden rim, one first encounters something very nice: a medium fine, medium volumed head with many strands of CO2 and a golden color. Unfortunately, the crown quickly collapses, and already, after ten minutes, the streams of effervescence have all but disappeared. Neither the odor nor the flavor is overpowering: a delicately spicy, pleasant smell rises gently into the nostrils and, upon sipping, the flavor is sweet and spicy. Thereafter the spices quickly dominate, building to a stronger, yet still mild, high point. After the spiciness has waned, the finish yields only the most subtle hint of hops. Conclusion: this Bach Birthday Beer, brewed in Köthen, is an elegant beer. I like it because of the mild, yet satisfying, aromatic character – and I always prefer some sweetness! And the fact that I can be ready for another after only half an hour or so . . . Indeed, a most prominent face is found on this bottle from the Köthen brewery. Bach did serve as Kapellmeister in Köthen ​​from 1717 to 1723, so that is probably reason enough to name a beer after him. The problem with the whole thing, however, is that this beer is a real insult. The fact is is that this concoction does not taste very good. Although it is, at first, light and sweet, it acts as if it is reluctant to reveal its positive qualities, as one would wish. Really, it just tastes cheap. Too bad . . . What if Johann Sebastian found out? 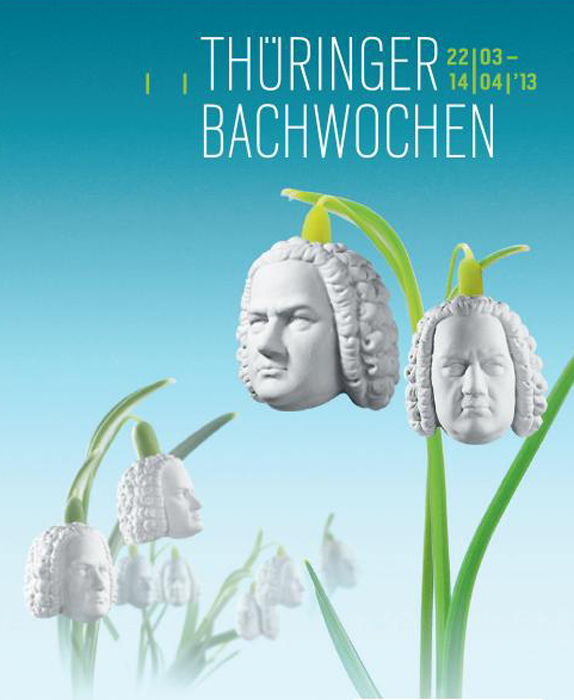 This year’s Thuringia Bach Festival will be the largest festival of classical mus­ic produced in the German Free State. 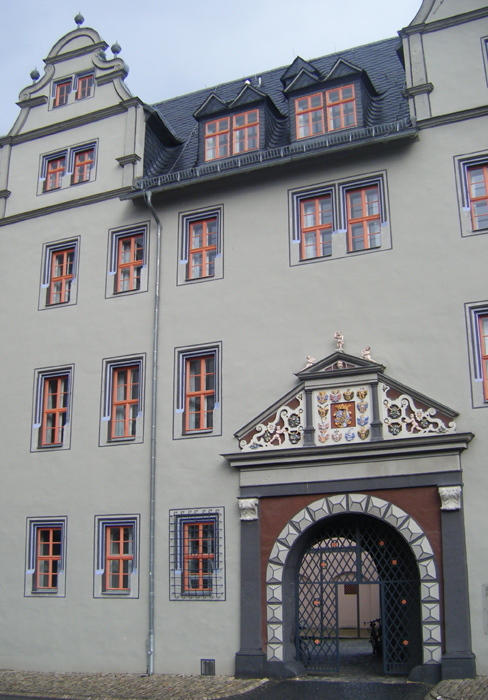 Specializing in Baroque music performed in authentic sites, including the Bachhaus in Eisenach, the church where Bach was married in Dornheim, the palaces in Weimar where he composed much of his early work, as well as ancestral Bach houses in Erfurt and Wechmar, these settings provide the historical context for a series of ambit­ious concerts that will run 28 March through 14 April 2013. Opening the Thuringia Bach Festival will be a performance by the Dunedin Consort of the St. John Passion (BWV 245) at Eisenach’s St. George Church within the course of the Good Friday liturgy. 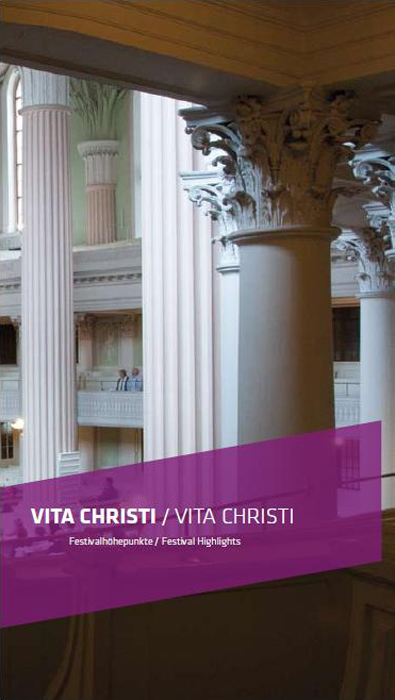 Next year’s Bachfest Leipzig will be held from 14-23 June 2013 with the motto “Vita Christi” (Life of Christ). Together, Bach’s Christmas Oratorio [BWV 248], the St. John Passion [BWV 245], the Easter Oratorio [BWV 249] and the Ascension Oratorio [BWV 11] comprise the grand oratorio project that dominated the musical life of Leipzig between 1734 and 1735. These scenes from the “Vita Christi” will be presented over the course of three concerts, conducted by Trevor Pinnock and Sir John Eliot Gardiner, in association with discussions of the theological, dramaturgical and compositional connections among them. In addition, Bach cantatas will further illustrate details of the life of Christ on each day of the festival. The Bachfest 2013 will present the Freiburg Baroque Orchestra, Andreas Staier, the Helsinki Baroque Orchestra, Hermann Max, and many others. As is traditional, the Leipzig Gewandhaus Orchestra and the St. Thomas Boys Choir, which is celebrating its eight hundredth anniversary in 2012, will also take part in the festival program. Bach had two periods of employment in Weimar, with two different employers, and keeping track of the details of these sojourns can be difficult as the given names of his employers were similar, yet the locations of their residences were different. Duke Johann-Ernst II had two sons who, in the absence of the right of primogeniture, inherited shared rule of Saxe-Weimar. The elder and more dominant of the two was named Wilhelm Ernst, and he resided at Wilhelmsburg Palace. The younger, Johann-Ernst III, whose health was failing, temporarily employed Bach for a few months at the beginning of 1703 as a violinist in the private chamber orchestra that he maintained at his residence at the Red Palace. Following intervening assignments in Arnstadt and Mühlhausen, Bach returned to Weimar in 1708 and went to work for the older Wilhelm Ernst Bach as a court musician at the Wilhelmsburg. Johann-Ernst III was now dead, and his eldest son, Ernst August, had ascended to the position of co-regent with Wilhelm Ernst, but he, too, was generally the more deferential of the pair. Ernst August resided at the Red Palace, and whenever Bach’s official duties for Wilhelm Ernst had been completed, Bach had permission to turn his attention to the musical activities taking place there. Ernst August’s younger half-brother also resided in the Red Palace, and this youngest Johann Ernst studied keyboard and counterpoint with Bach’s cousin Johann Gottfried Walther. Johann Ernst’s musical skills must have been more than adequate as Bach transcribed three of his concertos for his own use as solo harpsichord concertos (BWV 982, BWV 984 and BWV 987). Increasing friction between the two competing Weimar households at the Wilhelmsburg and Red Palaces eventually caused Bach to seek alternative employment in Cöthen. In the autumn of 1702, shortly after the principal organist at Sangerhausen’s St. James Church had passed away, seventeen year old Johann Sebastian Bach applied for the position. Having just completed his studies at the Partikularschule in Lüneburg, Bach had ventured south in hopes of finding gainful employment, but in spite of a very successful audition, Duke Johann Georg of Saxe-Weißenfels intervened in the selection process and directed the Sangerhausen Town Council to appoint an older, more experienced candidate to the post instead. Being denied this position must have been something of a disappointment to Bach as Sangerhausen was a thriving city in sight of the Harz mountains, deriving significant wealth from its position at the junction of important roads and its nearby copper mines. 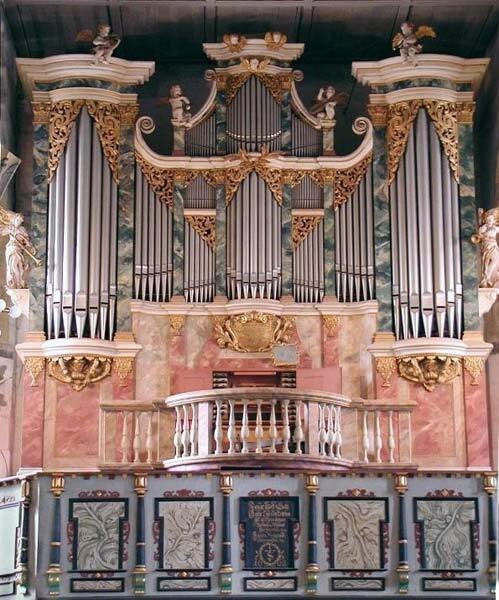 Between 1726 and 1728 Zacharias Hildebrandt constructed a large organ in the west loft of St. James, and so when the position of organist once again became vacant in 1736, Bach enthusiastically recommended that his son, Johann Gottfried Bernhard Bach, vie for the position that he had lost thirty-five years earlier. 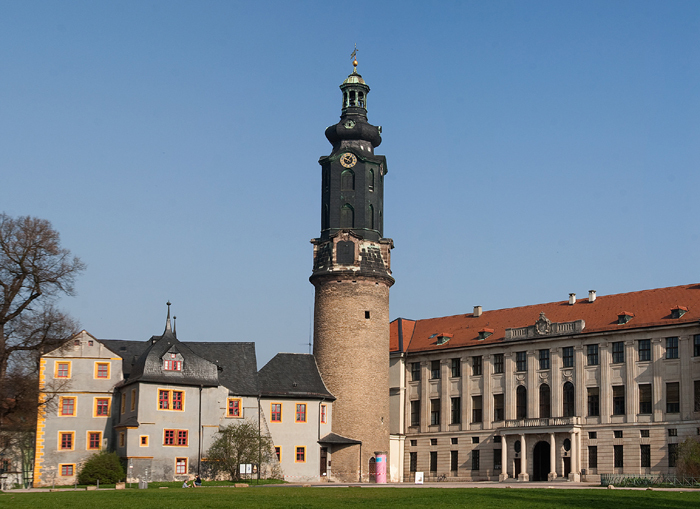 Johann Gottfried Bernhard won the competition and took up residence in Sangerhausen in 1737, but already in 1738 he resigned the job as organist at St. James, registered at the University of Jena in 1739, and mysteriously died shortly thereafter. St. James Church, a late Gothic hall church with a nave and three aisles, was built between 1457 and 1542 and still stands. Through the years its interior has been richly painted, and its 61m tall, Baroque-domed bell tower has begun to lean. Now in Saxony-Anhalt, the great organ at St. James Church in Sangerhausen sounds more sweetly than ever as the instrument of thirty stops, with two manuals and pedal, was thoroughly restored by Hermann Eule Orgelbau in 1978. 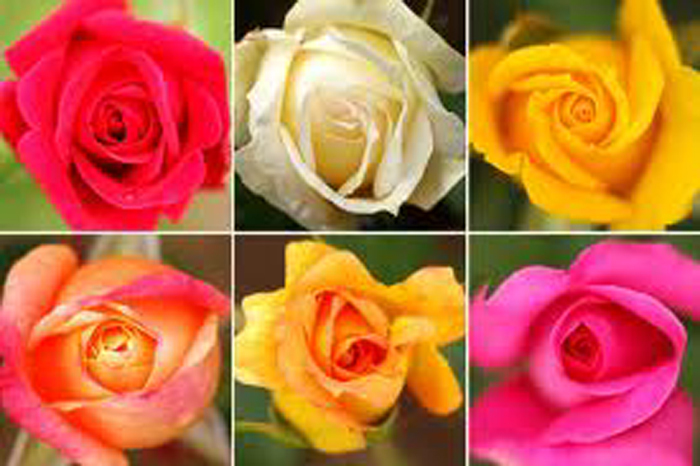 In addition to its Bach connections, Sangerhausen attracts many visitors with its Europa-Rosarium, the largest rose collection in the world with more than 8,300 rose varieties and species. 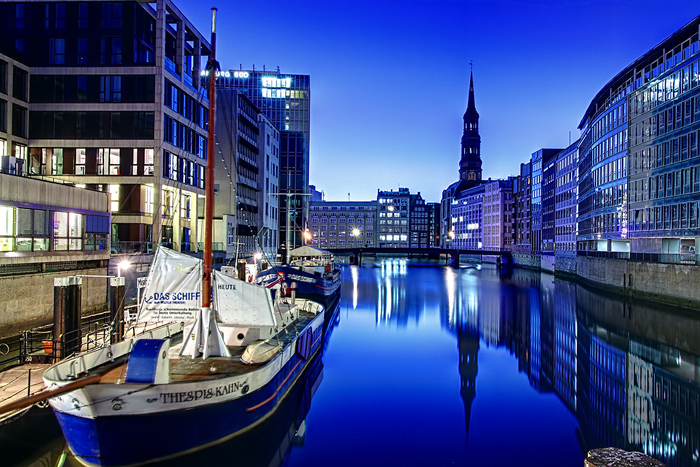 Now one of the five main churches in the center of Hamburg, St. Catherine Church was originally built to serve fishermen on an island in the Elbe river in 1250. Along with its bell tower soaring 117m into the air, the church’s great organ attracted many visitors, including keyboard masters Heinrich Scheidemann and Johann Adam Reincken, and in 1701, as a sixteen year old, Johann Sebastian Bach traveled 50km to St. Catherine Church from Lüneburg just to experience Reincken’s playing of the instrument’s four manuals and pedals. Bach was fascinated with the beauty and diversity of the great instrument, and he was particularly impressed by its reeds. 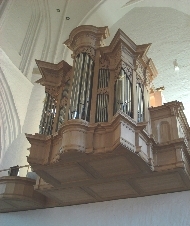 Luckily, seventeen stops of the organ survived the Second World War, and most of these 520 pipes fashioned by early organ builders, including Hans Scherer, Gottfried Fritzsche and Friedrich Stellwagen, are being incorporated by the Dutch builder Flentrop Orgelbouw into “An Organ for Bach,” a joint effort of St. Catherine Church and the Hamburg University of Music and Theatre to reconstruct an instrument typical of the early Baroque. 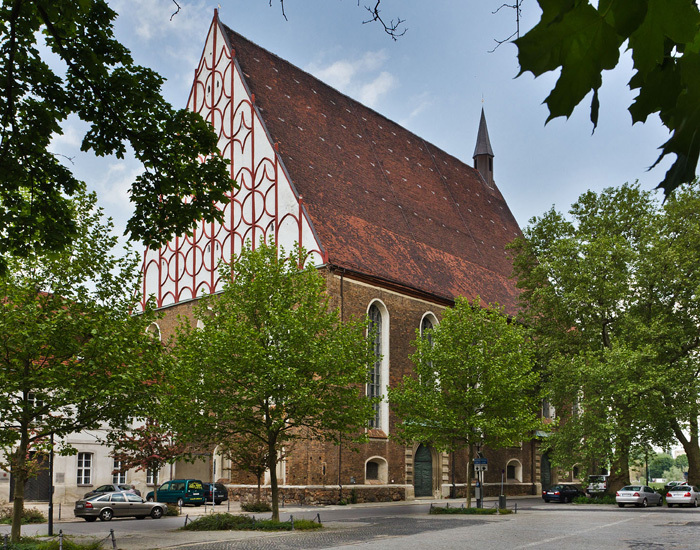 The newly reconstructed Rückwerk was installed in 2009 and since then has been used in church services and concerts. The second stage, the main case with Hauptwerk, Oberwerk and Brustwerk, is nearing completion, and the Pedal division, with its two towers, will be the third phase of this project. Final assembly and voicing will be undertaken during the first half of 2013, culminating in a solemn inauguration of the organ in June of next year.